You can see the high quality craftsmanship used to make these Ladies Roping Spurs in the picture above. These spurs are one of our most popular Ladies Roping Spur models. We only offer high-quality Ladies Roping Spurs and Horse Tack Supplies at Horse Tack Now. 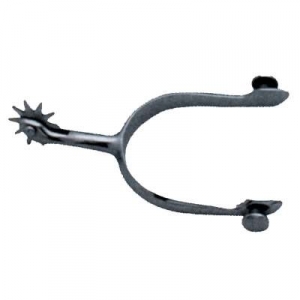 Ladies Walking Horse Spur with Offset Shank. Made of Stainless Steel.